CAE, negative tested herd. Last test results January 2019. If you are interested in kids from this years breedings, please check out our breeding list tab below. 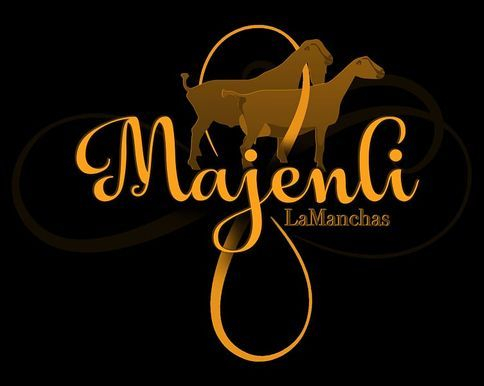 "2017 NATIONAL LAMANCHA PREMIER BREEDER, PREMIER EXHIBITOR, AND PREMIER SIRE"
We are located in Mebane, NC and we have been raising and breeding dairy goats since 1988. Be sure to check out our breeding list tab if interested in reserving a kid in the spring of 2018. GCH MAJENLI CLEOPATRA. 2016 CHAMPION AND BEST IN SHOW AT NC STATE FAIR. WE LOVE THIS GIRL. PROUD TO ANNOUNCE OUR NEW CLUB IN CENTRAL NORTH CAROLINA. LegenDary Goat Breeders Association. ABOVE IS 1ST PLACE PRODUCE OF DAM 2017 NATIONALS. LEFT IS MAJENLI DD EMERALD, RIGHT IS MAJENLI DD FREE SPIRIT. We Use Nutrena Feeds To Keep Our Goats Healthy And Growing Good. CAE, negative tested herd. Last test RESULTS 1/10/2018. WE ARE CURRENTLY ONLY TAKING RESERVATIONS FOR BUCK KIDS, AND ONLY AN INTEREST LIST FOR DOE KIDS. IF YOU ARE CONSIDERING A PURCHASE FROM MAJENLI DAIRY GOATS, WE GET SEVERAL REQUESTS FOR RESERVATIONS, AND INTEREST. TO HOPEFULLY OBTAIN THE KID, OR KIDS OF YOUR CHOICE, YOU MAY WANT TO SECURE A RESERVATION. FOR ANIMALS ORDERED AFTER BIRTH WE DO NOT GUARANTEE LISTED PRICES. IF WE EXCHANGE INFORMATION ON A KID YOU ARE INTERESTED IN, BUT PAYMENT HAS NOT BEEN MADE, THE SALE WILL GO TO THE FIRST BUYER THAT MAKES PAYMENT ONCE AN AGREEMENT HAS BEEN MADE BETWEEN THE BUYER AND MAJENLI DAIRY GOATS. THIS HELPS PREVENT US FROM LOSING OUT ON A SALE WITH SOMEONE WHO IS SERIOUS. FOR ALL PURCHASES $500.00 AND ABOVE WE WILL REGISTER THE ANIMAL FOR YOU. FOR ANY PURCHASES $499.00 WILL BE SOLD WITH A REGISTRATION APPLICATION AND THE BUYER WILL BE RESPONSIBLE FOR REGISTRATION FEES. WE HIGHLY RECOMMEND AND SUPPOHRT THOSE WE DO BUSINESS WITH LISTED BELOW. PICKED UP OUR NEW GORE TRAILER DECEMBER 8, 2014. THANK YOU JACKSON GORE, AND COMPANY FOR A BEAUTIFUL, QUALITY TRAILER! If you are interested in getting a logo done, Taylor Kueck does an awesome job for a very reasonable price. CHECK OUT THE LOGO SHE DID FOR US AT THE TOP AND BOTTOM OF THE PAGE. Her logo is below and you can contact her here through Facebook as well. Just click on Mighty Pine Designs below. Thank you to Isley Farm Supply for always supplying us with quality hay and feed products. If you live near Alamance County and in need of good quality hay and feed, look up Rusty Isley at Isley Farm Supply. BLADE SHARPENING - DO YOU NEED SOMEONE WHO DOES QUALITY BLADE SHARPENING? WE USE ROBERT LAMAR. YOU CAN CONTACT HIM THROUGH HIS WEB SITE LISTED HERE. HE DOES A MUCH BETTER JOB THAN ANYONE WE HAVE EVER USED FOR SHARPENING. GRAPHICS ON OUR TRAILER MADE BY MATT ROBERTS. WE INSTALLED THE GRAPHICS OURSLEVES.